Golden Heart Senior Care is a growing home care franchise. They provide in-home non-medical care as well as assisted living placement services when necessary. Golden Heart will work with your loved one’s medical practitioner to keep them out of the hospital or help them fully rehabilitate after a hospital / rehab stay. 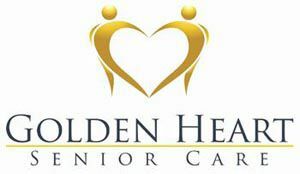 Golden Heart Senior Care offers a variety of services such as memory care deep cleaning, home cooking, bill paying, and even pet care. Something unique about Golden Heart is their focus on creative socialization. Some of the activities clients enjoy include dinner parties hosted in their own homes and companion escorts to senior centers, church services, social clubs, etc. Give your local office in Prior Lake, MN a call to schedule an in-home evaluation or to request more information.